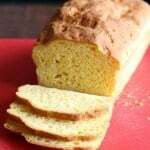 This is similar to a millet recipe I used to make, it was a wonderful bread as I am sure this is. But would like to inform your readers if they have a thyroid problem (as I do) millet is not a food you want to eat on a regular basis. If fact in some countries where they rely on millet for a daily meal it can cause thyroid problems. This is very interesting! I am O positive blood group and there are certain foods that can cause a thyroid hormone imbalance in O group for instance any cabage or cauliflower (my substitute is brocolli). I will definately check in my book about millet. Thank you! If it works for your diet, I hope you enjoy the bread! 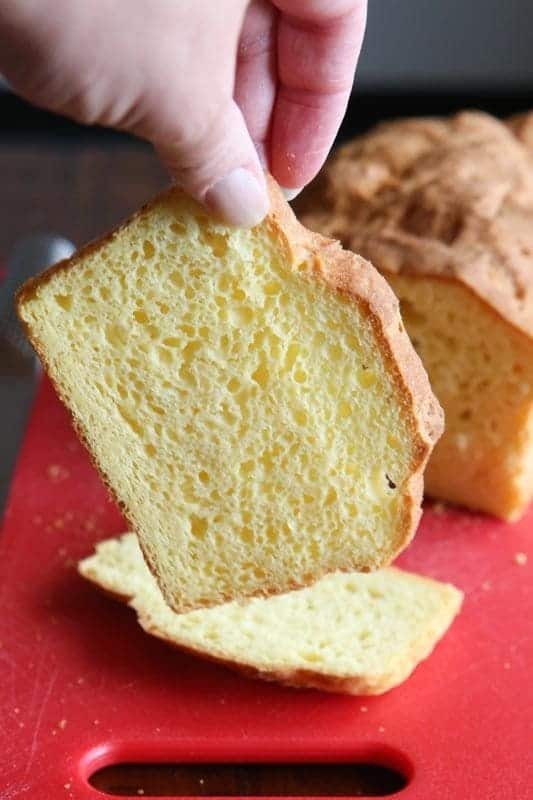 I am new to gluten free.. no choice..My question is, can your sandwich bread and other recipes be done in a bread machine.. I have made the gluten free dough in the bread machine and works great. However, do not let it rise in the bread machine as I find gluten free only does one rise. 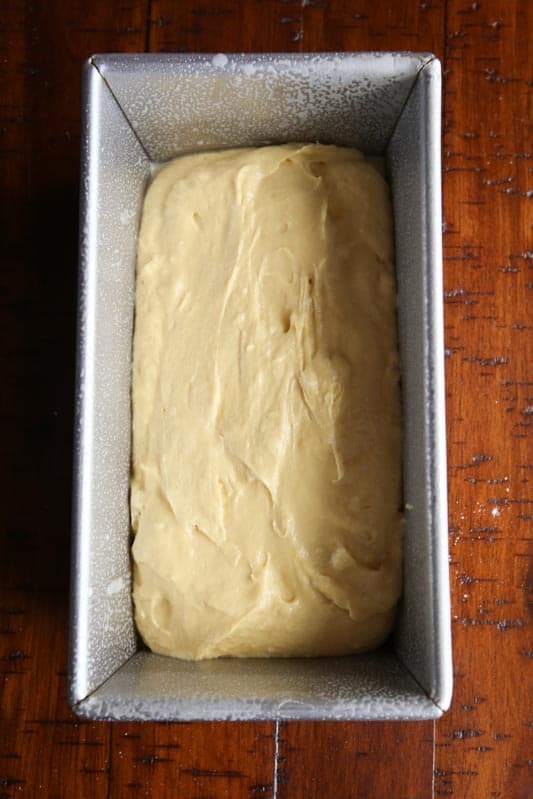 As soon as it’s finished mixing in the bread machine scrape it out into the baking pan, let it rise and then into the oven it goes. Oh, and remember to put the ingredients into the bread machine in the proper order keeping the yeast and salt away from each other. Yes. You’d need to double the amount of egg yolks. As I’m sure you know, this will give you a richer bread. You can substitute millet for quinoa. I made it and it is outstanding. Def the best gluten free bread I have made yet. In fact it is so similar to gluten bread it is unreal. I even tested it defrosted the next day and it does well as regular bread. Doesn’t have to be toasted. I would say after day 3 it starts to get a little dry but perhaps a airtight breadbin might mean that it lasts longer. Will be making this as the standard bread it our house from now on. Was actually very simple to make. This looks awesome! Thanks for the breakdown of the ingredients, and why they are used. I have a great recipe for bread, but am ready to try something new. So I made this 3 times. Each yime it came out perfect. And it’s the best gluten free bread I have baked since I ve gone gluten free over 4 months now. It came out great with real bread consistency. 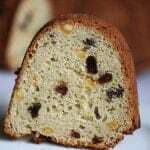 The 2nd and 3rd time I altered it a bit adding about 1 tsp ground cinnamon l, 1 tbs flax seeds and about 1/4 cup raisins. Omg makes lovely breakfast toast. This one is definitely a keeper. Yay! I’m glad you are enjoying the recipe! Are there other flours that would be suitable to substitute for millet, either in its entirety or as a blend? To replace the millet, you could use sorghum flour or brown rice flour. There isn’t a blend I’d recommend for this recipe. Is this recipe really corn free? I read Xanthum gum was started on a corn base? May I substitute guar gum? 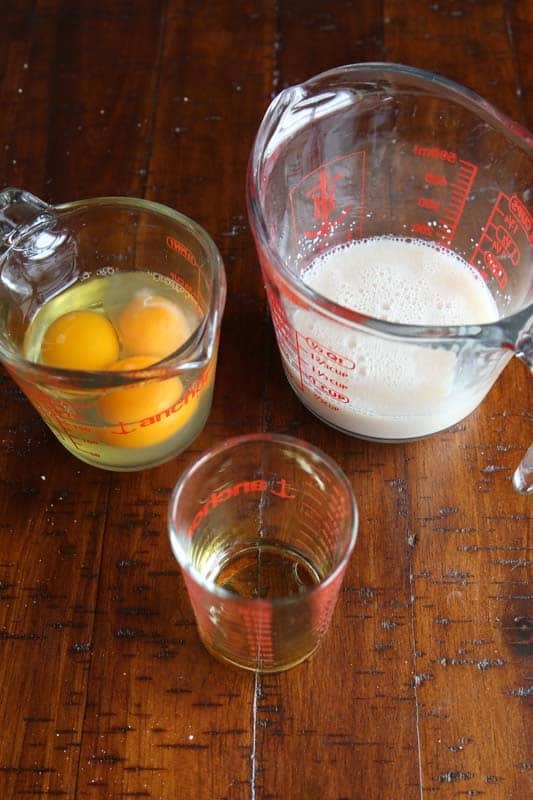 I have IBS and egg whites are okay but not the yokes…sometimes I do add a little yoke but not much. Do you think this bread would turn out if only whites were used? I am in love with a millet bread I found in Florida and wish I could take many loaves back to Canada with me. Oh! Good question! It should work. However, you’d need to double the amount of egg whites to make up for the lack of yolks. Have you ever calculated the cost per loaf? Good question. I haven’t, simply because ingredients vary from region to region. 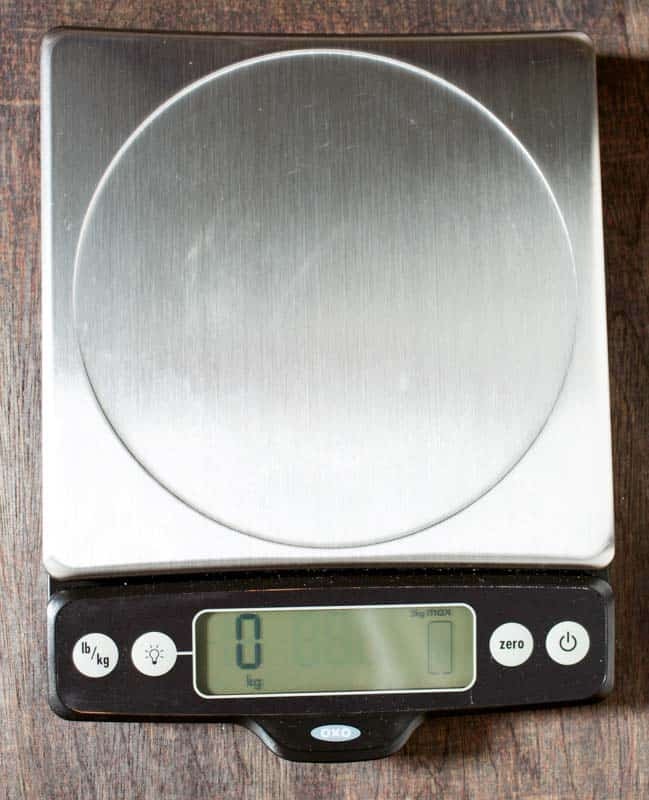 I am wondering how much longer I can cook it if it isn’t up to temp? I’ve had it in 60 minutes and it’s still not 210! Smells delish tho!!! It would depend on what temperature it was at when you took the reading; sometimes five more minutes does the trick. If it never got to 210 degrees, I’d check your thermometer to ensure it’s accurate. So I’ve made this a few times. At first I was using the small loaf pan, and everything turned out great. However, I tried doubling the recipe and baking it in a large loaf pan. It’s tastes fine and rises beautifully, but it keeps falling after I take it out of the oven. What can I do to keep it from falling? I’ve tried adjusting how long I let the dough rise before I put it in and still get the same result. Fantastic recipe, and the wife (who has no gluten issues) loves it too. Actually it was her suggestion to make a loaf with some zip so the 2nd loaf I tried I added 2 serrano peppers (with seeds and ribs) and 2 sprigs of rosemary…it was out of this world fantastic. I cut a couple slices, buttered them and sprinkled with garlic powder and threw them back in the oven to heat up for a steak and sauteed mushroom dinner tonight…mmmmm!! Glad you are enjoying the bread! Let’s try to get to the bottom of the sinking issue. Sometimes when a loaf rises too high, it drops. Could this be the issue? I haven’t had the loaf sink but I’ll try to replicate it and get back to you with a solution! 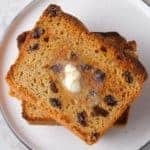 Could this recipe be done with a breadmaker or only in the oven? How would one make this in a bread machine if you have the time to answer this? I am going gluten free because I think it is the route of all my health problems. I was thinking of making homemade bread. I have heard a lot about using a bread machine. Does takes away the baking in the oven, correct? If you can explain anything at all that would be wonderful. I love how in depth your recipe is. I am looking forward to trying this recipe in my zojirushi. 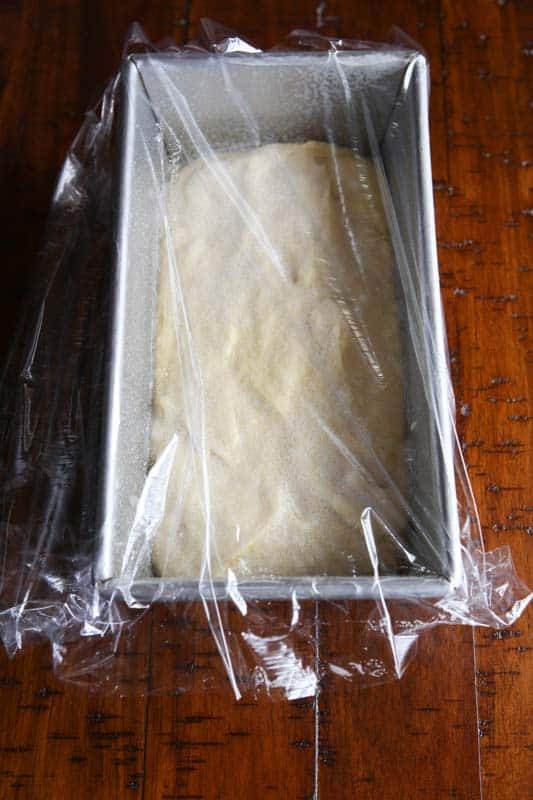 Can you tell me if you use the knead cycle after putting the wet and then dry ingredients in the bread pan? 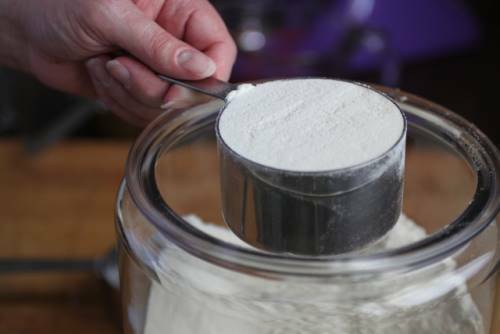 Or do you mix it per your instructions and then put the batter in the bread pan to rise and bake only? Thank you! I add the liquid ingredients to the machine and put the dry ingredients over the top. I hit start. 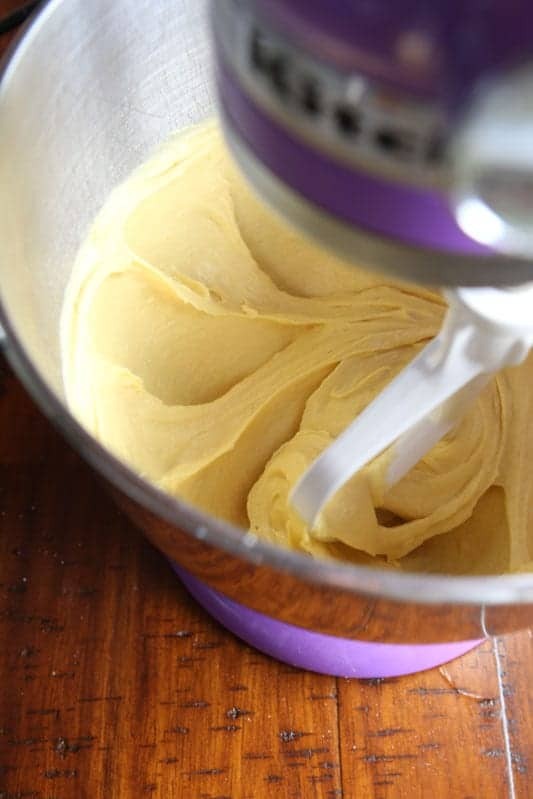 About halfway through kneading, I open the machine once and scrap down the sides of the pan with a soft rubber spatula. 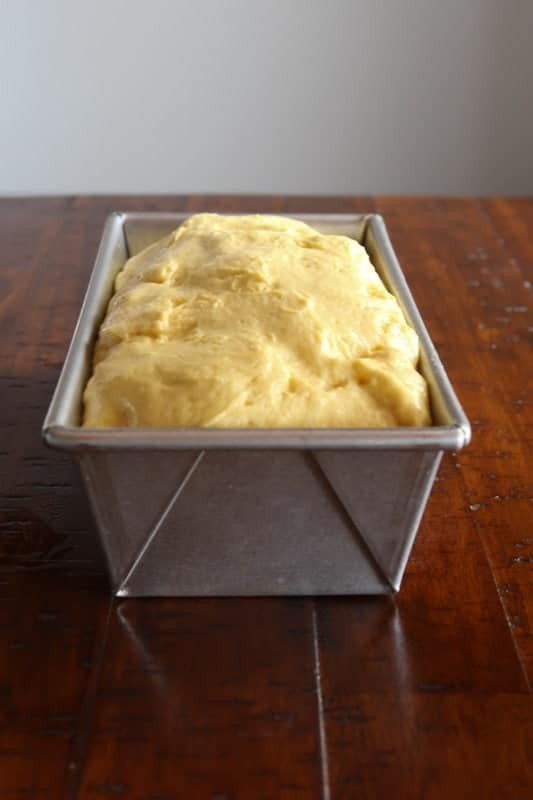 Could I make this bread with an egg substitute? 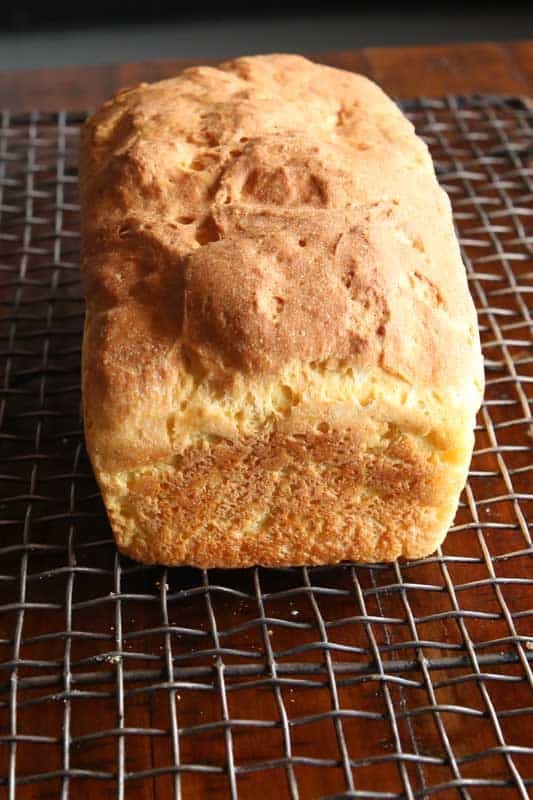 I have a gluten and egg allergy, and finding a gluten and egg free bread seems to be impossible! I don’t think the recipe works with ann egg substitute. 🙁 I’ll have to work on a gluten-free and egg-free sandwich bread recipe. 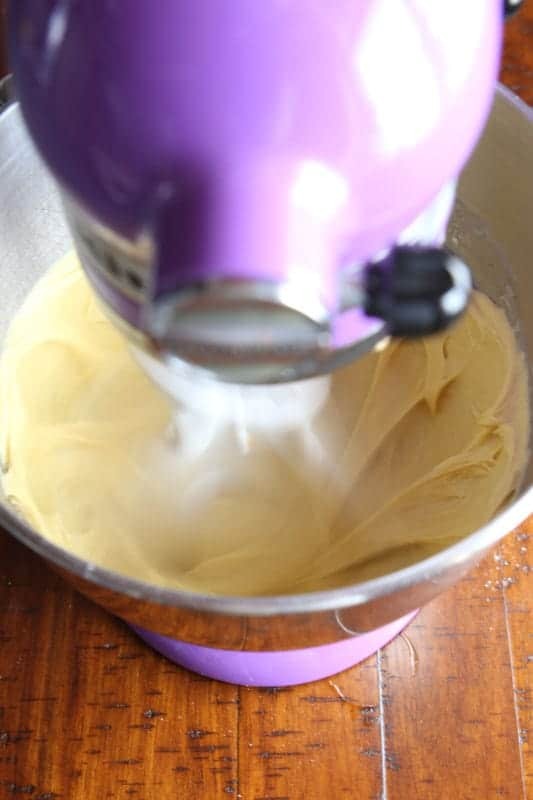 I am making my second batch using the EnerG brand egg replacer. The first batch turned out great. 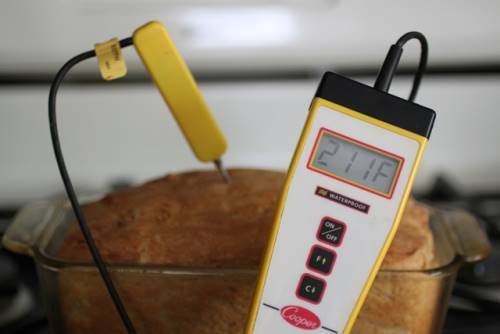 Hi, I do not have a bread thermometer, so how long should I bake this for please,,any suggestions. Hi Sally! It should take about 45 minutes or so. Enjoy the bread! I just made this loaf of gluten free millet loaf. But mine came out with a bitter after taste 🙁 I bought my flour 2 weeks ago and the expiry date states 2017. Does millet flour have this distinct bitter after taste or did I do anything wrong? Hope you to hear from you soon!! I don’t find millet to have a bitter taste. However, taste is so subjective that it might not be the right flour for you. 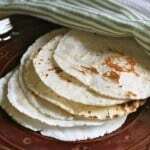 Feel free to try the recipe with either brown rice flour or sorghum flour in place of the millet. It will work well with either of those flours. (Be sure to swap 1:1). That said, you might have some millet flour that’s “off”. Not bad, per se, but it could have picked up an odor along the way from the factory to you. If you are up to it, you could always get another bag of millet (from a different store) and see if that solves the problem. I replaced the millet flour with brown rice flour. But i didnt make this bread recipe. I made some pancakes instead using similar ingredients because i didn’t want to waste the food if it fails again. But i still get the awful bitter taste… So this means that the millet flour didnt cause the bitter taste! I have one question though… Since I am able to interchange millet and brown rice flour 1 for 1, then can I use 85g millet and 85g brown rice flour in your recipe? I made your Sandwich loaf today. I didn’t have millet flour, substituted with Bobs Red Mill sweet sorghum instead. The flavor is nice and the aroma is just like wheat bread, the crust is crunchy and nicely browned. This is the first GF bread I’ve tried making. And will continue to use your recipe for bread and rolls. 1. Is the moistness typical of gluten free bread? Or did I add to much oil or water? 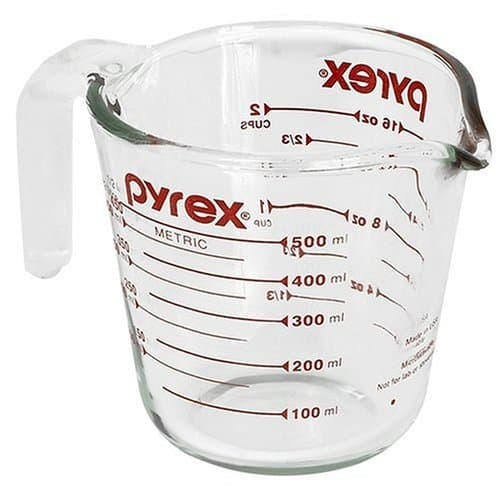 Would adding non fat dry milk change the recipe? 2. I have looked at many GF mixes in the store and on the web, and find almost all use rice flours. I find rice flours to gritty for me. Are there non gritty flours I can substitute and still produce a tasty and typical product with a smooth texture? Thank you. If you followed the recipe, you didn’t add too much oil or water. 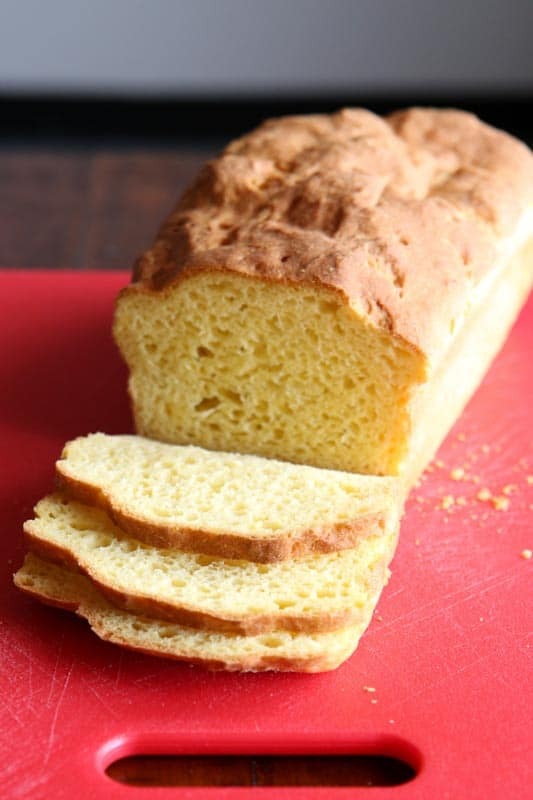 Gluten-Free breads tend to be more moist than traditional breads. You can replace the water with milk but I would not add dry milk to this recipe. Millet and sorghum flour are good replacements for brown rice flour. However, without seeing the recipe you plan to use, it’s hard to say for certain. I made your Soda Bread recipe this morning. Didn’t have white rice flour so used half sorghum and half brown rice flours instead. It fell in the middle. 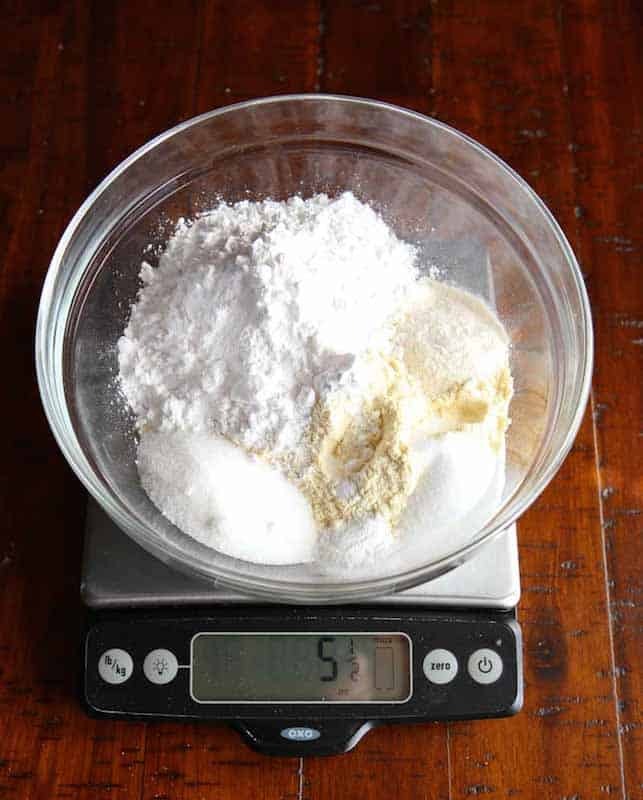 Should I have add more baking powder or baking soda? I used lemon juice to sour the milk since I didn’t have buttermilk. Otherwise I followed the recipe. 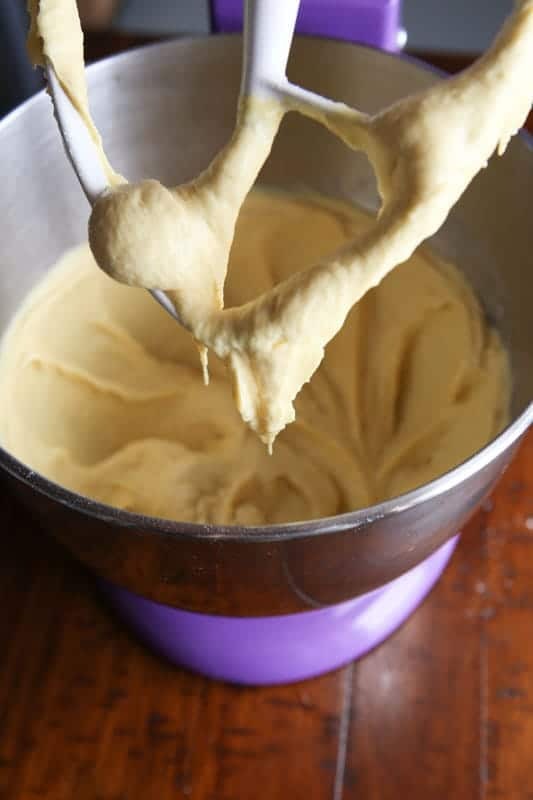 The batter was thicker than what your pictures show, so I stirred in some cream (yum) to thin it a bit. Still the batter looked more like a fluffy cake batter. Was that because of the sorghum flour? Thank you so much for your help, I’m new at GF baking, this is an entirely new learning curve for me. I’m guessing that the addition of cream thinned the batter too much. 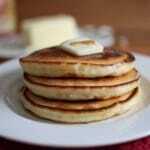 And, in this recipe, true buttermilk makes a big difference. I think the combination of those two changes might have made it sink. That said, was it baked all the way through? That could always cause it to collapse. Yes, it tested done in the middle. I’m the only one eating GF, can I cut the muffin and bread recipes in half? I’m going to keep trying recipes until I get the hang of how each ingredient works because I feel better on a GF diet. I appreciate our website, it has lots of good information. And you are very helpful. Yup! The muffin recipes can be cut in half. The only recipe that I don’t advise reducing are ones that use yeast, as they tend not to work the same when either doubled or halved. Good question! I’m not 100% sure. Arrowroot isn’t as elastic as tapioca. Can you do corn? I think I’d do half arrowroot and half corn to replace the tapioca. Hello! I know this comment was quite a while ago, but I also cannot tolerate tapioca. I made this recipe using half arrowroot and half potato starch in place of the tapioca. It came out very well. Nice texture and it was lovely to eat non-toasted bread! Thick slices make an excellent delivery system for butter. Great! Glad to hear it worked!